For caterers and chefs, steam cookers are the ideal way to produce significant amounts of healthy prepared food. 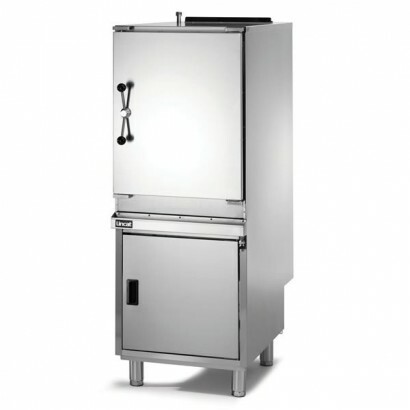 The atmospheric steamers available through the Corr Chilled website were designed to remove the air from the cooking compartment by having a constant flow of pure steam within the unpressurized cabinet. The steam is saturated heat, which is provided by the partnered boiler. Due to this unique cooking method, you will be able to cook foods together which would not normally be cooked together – saving you time, money and allowing you to make your evening service run smoothly. These atmospheric food steamers are perfect for parties, functions, all-you-can-eat buffets and a whole range of other uses – every chef should have one in their kitchen. These atmospheric food cooking steamers are ideal for cooking food items such as rice, ham, puddings, vegetables, fish and many other traditional foods. Whether you're looking to batch-cook products for an important function, or you want to add as many items to the cooker as possible to save time and allow you get ahead on other parts of the cooking process, these steamers will allow you to do so – and cook foods in a convenient, healthier manner. We offer a range of cost-effective atmospheric steamers from manufacturers such as Lincat. Available in a wide variety of sizes, shapes and finishes, you’ll be able to find the perfect atmospheric steamer for your kitchen on our website. All of our steamers are competitively priced and designed to help you get the most out of your kitchen space. Don’t hesitate to add an atmospheric steamer to your shopping basket today. Below, we’ve put together our hand-picked atmospheric steamers range. Please feel free to browse our products and find out more about each product by clicking on its link, where you’ll find in-depth product information such as size, capacity and delivery information. If you see require assistance, don’t hesitate to get in touch with a member of the Corr Chilled customer service team on 0161 442 9174. We’re happy to answer any questions you may have about our products, and help you select the right steamer for your kitchen. 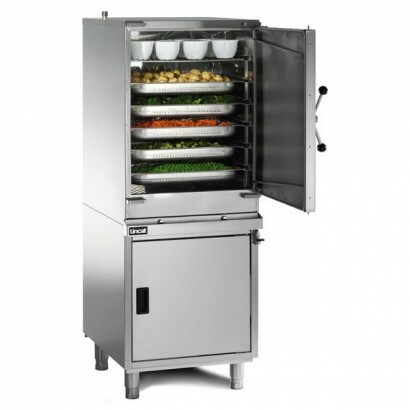 Lincat atmospheric steamer, great for producing large amounts of steamed food. Six shelf positions, ..
Large capacity and made from stainless steel for excellent durability. Ideal for producing large vol..
Lincat atmospheric steamer with gas supply. Large capacity and made from stainless steel for excelle..